Manuel Pellegrini axes Mark Clattenburg in press after City drew with Arsenal. 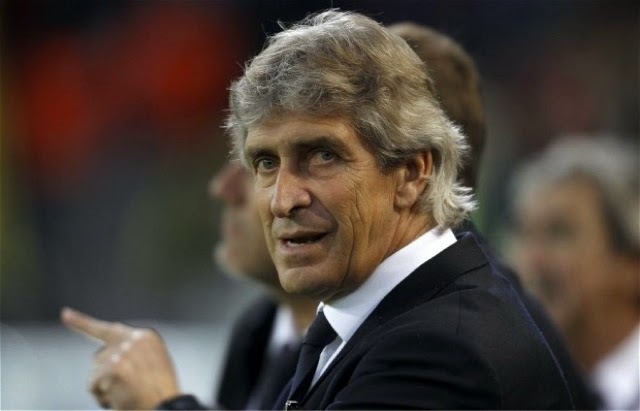 Both sides looked strong but Pellegrini thought City deserved the win at the Emirates. Manuel Pellegrini berated referee Mark Clattenburg and said his performance cost Manchester City victory after a breathless 2-2 draw against Arsenal the Emirates Stadium on Saturday. Pellegrini was frustrated by Clattenburg's failure to detect an apparent foul on Sergio Aguero shortly before Jack Wilshere's equaliser and also believed the official was at fault for not awarding a free kick when Danny Welbeck pushed Vincent Kompany in the build up to Alexis Sanchez's goal. "Arsenal scored both goals with fouls. They were illegal goals and of course it cost us our victory, and City where shocked with loss at Stoke two weeks ago aswell. He said City should have had a penalty when they led 1-0 after Wilshere appeared to handle the ball in his own area.Pellegrini's gripes did not end there. There was a clear penalty when both hands of Wilshere touched the ball in the box in front of the linesman. I don't think this penalty was more clear than last year with Skrtel at Liverpool in reference to last season's 3-2 loss at Anfield when Clattenburg failed to award a similar penalty when the defender handled the ball. After Aguero gave City a first-half lead, Arsenal fired back with classy goals from man-of-the-match Wilshere and Sanchez before Martin Demichelis rescued a late goal for the visitors with a looping header. It looks like today was the first time he found it on a consistent level through the 90 minutes.